“Apologetic work is so dangerous to one’s own faith. 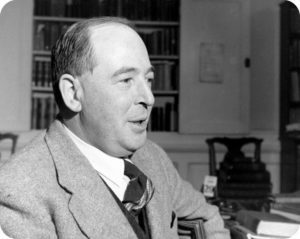 A doctrine never seems dimmer to me than when I have just successfully defended it.” So wrote C. S. Lewis in a 1946 letter. Yet a good many of us are grateful that he took the time and effort to add his part to all the apologetics offered throughout the Christian era. I can understand his sentiment in that letter. When you have to labor to help people understand the basics of how the universe functions, who is behind it all, the problem of sin and the remedy for it—well, it can be, at times, a wearying task. 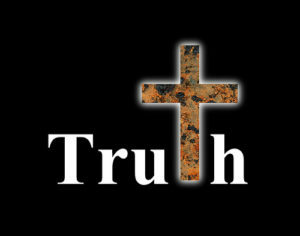 They always think you are recommending Christianity not because it is true but because it is good. And in the discussion they will at every moment try to escape from the issue “True—or False” into stuff about a good society, or morals . . . or anything whatever. One must keep on pointing out that Christianity is a statement which, if false, is of no importance, and if true, of infinite importance. The one thing it cannot be is moderately important. Lewis argues similarly in another essay written at about the same time, “Modern Man and His Categories of Thought.” In this one, he notes, “Man is becoming as narrowly ‘practical’ as the irrational animals.” People don’t seem interested in objective truth. They only want to know if it will be comforting, or “inspiring,” or socially useful. . . . When an Englishman says he “believes in” or “does not believe in” Christianity, he may not be thinking about truth at all. Very often he is only telling us whether he approves or disapproves of the Church as a social institution. The mass of mankind doesn’t desire to find truth. After all, if they had to come face to face with the truth of the Gospel, they would have to acknowledge their sins, repent of them, humbly lay down all pretensions to their own goodness, and learn to be a disciple of Christ, setting aside all of their selfishness, pettiness, and pride. That’s not appealing. Therefore, they run away from the truth. Yet we must not falter in explaining the faith and in praying that God’s Holy Spirit will awaken hearts and minds to His truth.